Teeth should ideally be opaque and white. 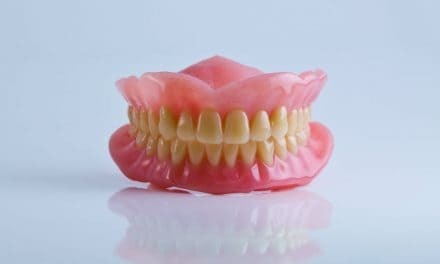 But if you have recently noticed that your teeth are translucent from the edges, you should investigate the reason behind translucency of your teeth since it could directly relate to your oral health. Translucent teeth can be a sign that there is something wrong with your teeth. It is mostly related to thinning of enamel (outer most layer of the tooth), leaving your teeth more vulnerable to damage and caries. You may not need to rush to your dentist immediately but consult one later before your condition becomes worse. What are the reasons for translucency of the teeth? Our teeth are always supposed to be opaque, and if some translucency appears around the edges or other parts of the tooth, then this mostly indicate some problem with the enamel of tooth such as in celiac disease. Sometimes, translucency might be present right from birth and are natural. It is typically visible in young teeth along the edge of the biting surface. This is mostly seen on the biting surface of the upper central incisors. This translucency appears due to lack of dentine (layer of teeth present beneath enamel) in the teeth. Translucent teeth are commonly a result of enamel erosion, which happens when the protective layer enamel that forms the outer surface of your tooth wears away. Brushing with excessive of pressure an affect your teeth enamel. Erosion caused by stomach acids. Hypomineralization is a condition in which the enamel devoid of enough minerals and loses its strength. This condition results in damaged enamel and translucent teeth. Sometimes people get a little too far with the frequency of their whitening treatments with home whitening kits or with professional whitening at the clinic. Whitening treatments are safe if handled responsibly, but they do cause the demineralization of teeth when used too much or too frequently. Some people inherit the trait of thin enamel from their parents. Their teeth naturally appear overly translucent. It also means they are more prone to erosion and dental caries as there is less protection to the tooth than usual. Does the damaged enamel grow back? The appearance of translucent areas on the edges of the teeth is an indication that enamel is thinning, which could be due to numerous reasons. But once the enamel from the tooth surface is gone, it is not replaced with a new layer of enamel. Unlike your other hard structures of the body like bone or cartilage, damage to your teeth is permanent. Once the enamel is gone, it can’t be brought back. This is why your dentist always tells you to look after your teeth and protect them from the effects of acids. How can you prevent translucent teeth? Preventing your teeth from turning translucent can save you from future bigger problems. When you notice a problem developing, there are several steps you can follow to minimize the effect of the problem. Develop a good dental hygiene routine. Rinse your mouth with water after eating acidic foods. Rinse your mouth with water after vomiting or acid reflux, this acid from the stomach can damage teeth enamel. Avoid acidic foods and beverages like soda or fruit juice. Use a straw to avoid contact of acidic drinks with the teeth. 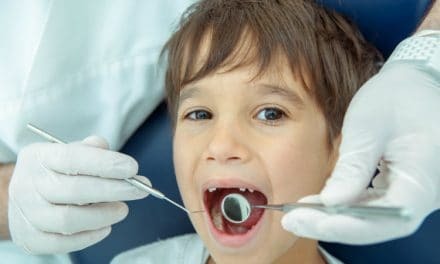 This process involves your dentist to open pores in your teeth and fill them with a mixture of calcium phosphate, sodium fluoride, and other compounds. This filling will function like enamel, restoring the whiteness to your smile and protecting your teeth against further acid erosion or dental caries. Veneering is a thin layer of porcelain that is placed on the surface of your teeth to hide any damage. They are a cosmetic treatment for the problem of translucent teeth. It is a quick and least invasive cosmetic treatment that can restore the translucent look of your teeth. In this treatment, the dentist will apply a composite resin to your teeth and mold it around your teeth to fit the shape your mouth. If your teeth have started to appear more translucent, you could be seeing the results of enamel damage. Teeth are naturally opaque, and they are not supposed to appear translucent. This condition could be an indication that something is wrong with your dental health such as erosion of enamel. It’s essential for you to prevent enamel erosions as it is the primary cause of translucent teeth. Enamel erosion can be prevented by keeping a proper oral hygiene regime, eating a healthy diet, and visiting your dentist regularly. NextWaterpik vs. Flossing – Do You Know Which one is Better and Why? Leukoplakia – Why is it dangerous?